Origin unknown. 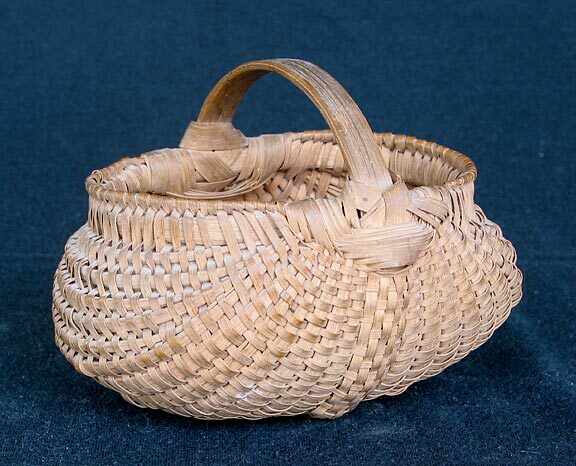 I bought the basket from the B. Burks Estate in Horse Cave. Material: White Oak.